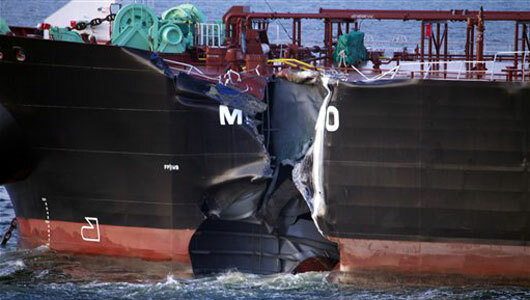 The Greek tanker Mindoro collided with the Cypriot container vessel Jork Ranger near Scheveningen, Netherlands. The Mindoro was loaded with jet fuel which leaked from a hole above the waterline. The vessel was able to stop the leaking by pumping the fuel into an undamaged tank. The pollution released is not a severe risk as it is expected to evaporate. The Jork Ranger sailing from St. Petersburg continued towards Rotterdam. The Mindoro was heading for anchorage off Scheveningen. The reason for the collision has not been reported, but the weather was clear and waves were around 1 meter.